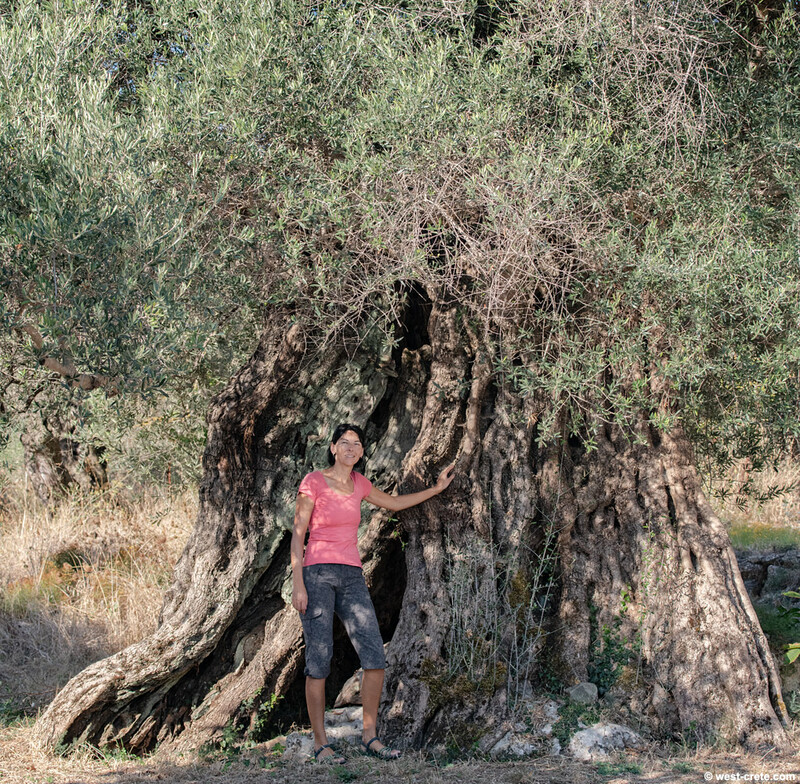 A very large and probably very ancient olive tree in Kambi. Apokorona. My trusty model was sent to stand in front of it to give a sense of its size.